The Level 3 Award in Nutrition for Sport and Exercise Performance is available to learners who have already achieved the Level 3 Certificate in Personal Training (or a suitable equivalent). This qualification expands your knowledge giving you the confidence and understanding to provide nutritional advice to sports people and those interested in optimising performance. The Course is delivered via three face to face attendance days. Understand the need for a healthy, balanced diet to optimise sports performance. Understand how to access credible information about sports and performance nutrition. Understand the benefits and risks of specific nutritional protocols that may be used to prepare for sports or fitness events. Understand the current scientific evidence relating to the safety and efficacy of common, legally available supplements and ergogenic aids. 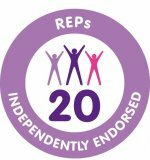 Evidence of a current suitable Level 3 Personal Training qualification (or suitable equivalent) as recognised by the Register of Exercise Professionals (REPs) is required for entry onto this course.